Before every third movie or show was about superheroes, Bruce Lee had a turn as a sidekick on TV's The Green Hornet. He stole the show, captivated Americans and started the Cult of Lee back in Hong Kong. 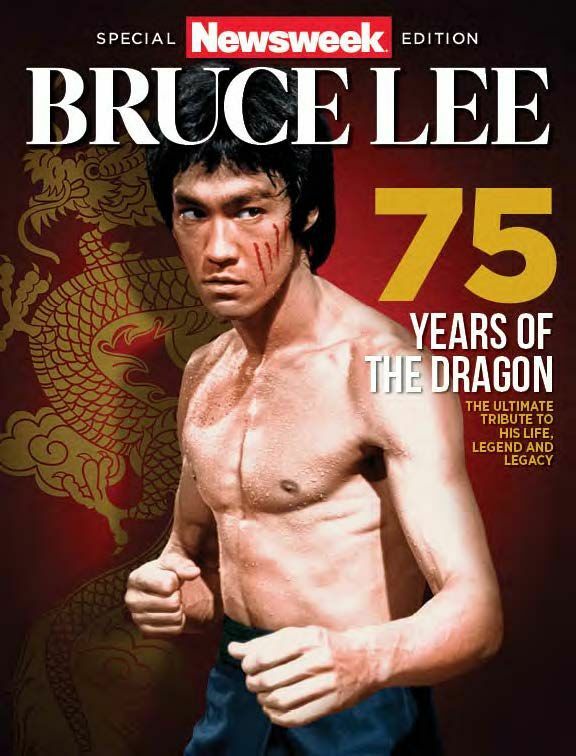 This article, along with others dedicated to Bruce, is included in a Newsweek Special Edition, Bruce Lee—75 Years of the Dragon. When asked what the difference between a karate punch and a kung-fu punch was during his first U.S. screen test in 1965, Bruce Lee replied, “Well, a karate punch is like being hit by an iron bar—whack! A kung-fu punch is like being hit by an iron ball swung on an iron chain with an iron ball attached to the end—it goes WHANG!—and it hurts inside.” Then he stood up and showed exactly what that might look like in a flurry of hands and feet moving so fast they blurred. The road to Bruce’s screen test started in Oakland, California, where his Jun Fan Gung Fu Institute began attracting the attention of the martial arts world. The rising kung-fu star struck up a friendship with Ed Parker, founder of American Kenpo Karate. Impressed with Bruce’s obvious skill and seriousness toward the martial arts, Parker invited him to attend the first-ever Long Beach International Karate Championships. The gathering of expert martial artists was intended to be a showcase for an artform that had remained firmly outside the mainstream for centuries. On August 2, 1964, Bruce wowed an audience with demonstrations of his “one-inch punch” and insightful lectures of his fighting philosophy. “He just blew everyone away,” International attendee and future student of Bruce, Richard Bustillo, told the Long Beach Press- Telegram. “When he spoke, that whole auditorium was quiet. You could hear a pin drop.” One of the stunned onlookers was celebrity hairstylist Jay Sebring, who passed word around Hollywood of this amazing new martial artist. Eventually, William Dozier, producer of the hit show Batman, got a hold of some footage from the tournament and demanded Bruce come in for a screen test. Two weeks after his father’s death, Bruce returned to Oakland from the funeral in Hong Kong and received a call from Dozier: The show Bruce had screen tested for—for the role of Charlie Chan’s son in a series to be titled Number One Son—had been scuttled. But the good news was that the massive audience reaction to Batman was letting Dozier unleash his new hero and sidekick series, The Green Hornet. He wanted to sign Bruce to a one-year option for $1,800. Bruce used the money to go back to Hong Kong and get his family’s affairs in order—and to continue his training. In the late fall of 1965, Lee got the call from Dozier—The Green Hornet was a go. The family moved to L.A. in March 1966. It was a small apartment at Wilshire and Gayley in Westwood, in a nice area, and it was the very first home of their own. Bruce was going to be paid $400 per episode. He also went out and bought a new car—a blue Chevy Nova. The plot of Bruce’s breakthrough show was simple heroes-versus-bad-guys, following the successful formula of Batman, which had started the same year. Britt Reid, owner/publisher of The Daily Sentinel, fights crime under the moniker and mask of The Green Hornet. 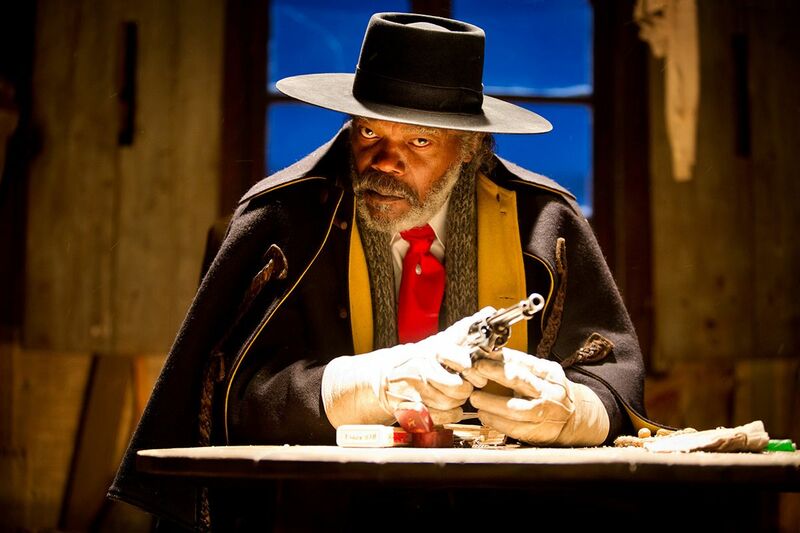 Few know his secret, outside of his faithful valet, Kato—a kung-fu expert and driver of “Black Beauty,” the duo’s well- armed car. Bruce would be Kato. It didn’t take long for his prowess to win out. “Every kid, I believe, in America noticed that guy behind The Green Hornet— the one who could kick, the one who could punch, the one who could move so amazingly—all eyes centered on him,” said Ric Meyers, a film critic. 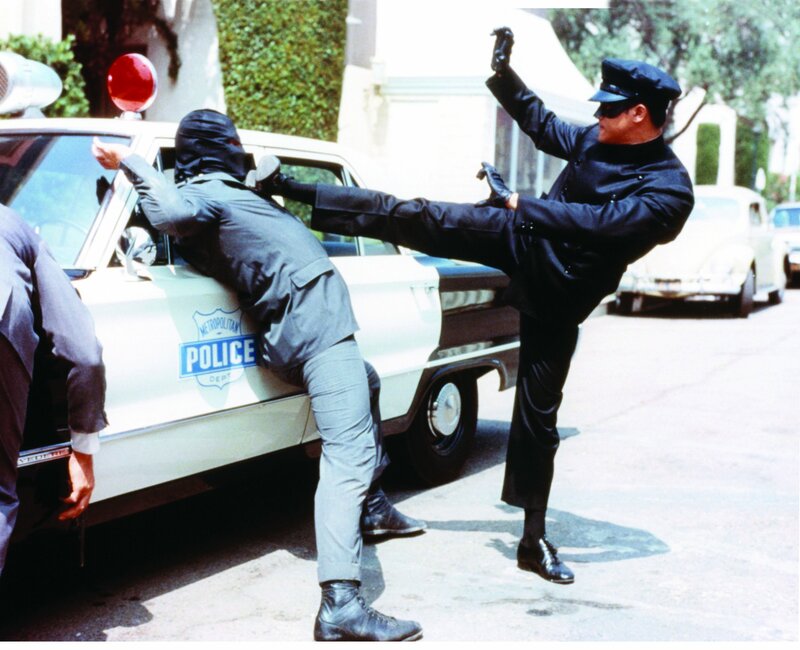 “The makers of The Green Hornet had to actively restrain Bruce Lee from being himself because they realized every time they saw the rushes that everything else was wiped off-screen.” But that didn’t lead to animosity on set. In fact, the reverse was true. According to reports, Van Williams, who played the titular character, became good friends with his costar and went to bat with the show’s producers to give Bruce more screen time and lines; the kung-fu master taught Williams some basic techniques that he is sometimes seen using throughout the series. They shared the off-set successes, too: An October 29, 1966, TV Guide cover saw Kato flying high—face to camera, full kung-fu prowess on display—seemingly floating above William’s Green Hornet. The ante-upping continued off set. At a press conference discussing the pairing of Batman and Green Hornet casts, Bruce’s first words were in Chinese. But he didn’t need language to set him apart. The Green Hornet himself Van Williams averred of him, “I made the mistake of sneezing when I was too close to him, and I ended up flat on the floor. He’s very fast. Very fast.” When Adam West asked Williams if he was faster than Robin, the Green Hornet actor replied. “Faster than Robin. Faster than a speeding bullet. Gosh darn, that’s the wrong one....” As a compromise, the scene was rewritten to have the fight end in a draw. On set, the story goes, Bruce went icily silent. In his book Boy Wonder: My Life in Tights, Ward explained that leading up to the fight scene Lee didn’t say a word, he just stared at him and acted angry all day. When the camera rolled for Kato and Robin’s face-off, he stalked Ward until Ward backed away, saying that it was only a TV show. As Bruce continued to close in, someone offstage squawked like a chicken, and Bruce broke into gales of laughter. “Lucky it is a TV show,” he cracked. He was asked to appear on TV talk shows. Soon, the Hong Kong movie industry came calling. If the front doors of the American studios wouldn’t roll out the red carpet for him, Bruce decided, he’d establish himself in Hong Kong and come crashing through the side door. “To most people, including the actors and actresses, Hollywood is like a magic kingdom,” Bruce said. “It’s beyond everyone’s reach and when I made it, they thought I’d accomplished an incredible feat. But if my success was based on these two facts alone, then why is it that Green Hornet smashed box offices in Singapore, Philippines and other countries I haven’t even visited?” Bruce was here, he seemed to be saying, and here to stay. This article is excerpted from a Newsweek Special Edition, Bruce Lee—75 Years of the Dragon, by Issue Editor James Ellis. ® & © Bruce Lee Enterprises, LLC. All Rights Reserved.